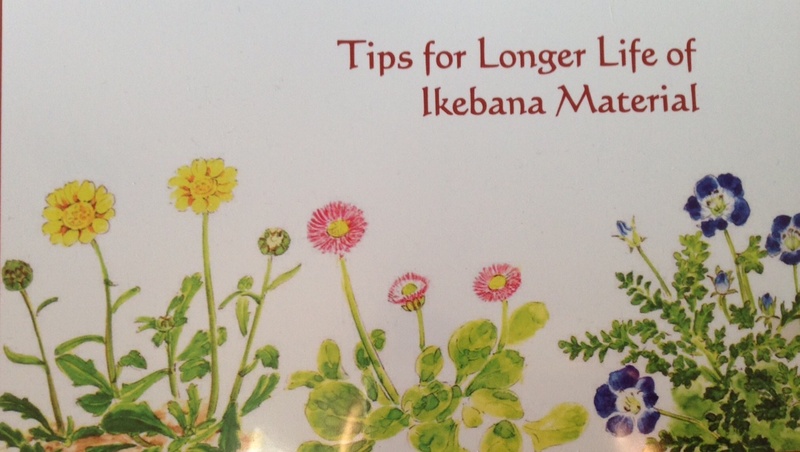 The love of flowers and the desire to prolong their effective life led to this edition of “Tips” book. 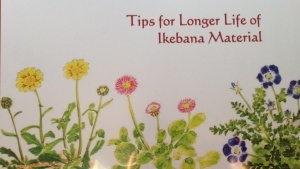 This handbook is the collective knowledge of Ikebana Masters over centuries. The book also features Latin and Japanese names of flower and plant materials. This handbook is available for $15 USD first class mail postage included. Dimensions: 8 1/2 in. x 5 1/2 in., 64 pages, spiral bound. Please fill this out for purchase. How do I order this book ? Please fill out the PDF form that we have linked above the image. Love the book I bought at the end of the last century….Plan on ordering more for gifts. Thank you for making it available…Will figure out how to use your form and order. I’m an II member from upstate NY. I’ll be visiting family in San Francisco,beginning of December.Is it possible to buy the booklet at your headquarters or only by mail? We are having a Holiday Bazaar on Friday Dec 9. The booklets will be for sales as well as many other ikebana items. In addition, we will have a demonstration from Ohara school. I hope you will be able to come to this Holiday program. it starts at 11 am, demonstration at noon, and finishes at 2 pm. The location is at the County Fair Building in Golden Gate Park, corner of 9th and Lincoln Way. If you can’t make it to the program, you can always buy the booklet online. Thank you.